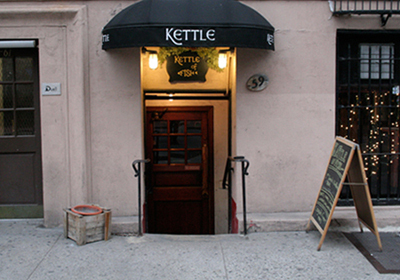 Greenwich Village’s legendary Kettle of Fish hosts monthly readings, and on March 31st, the readers will all be from our chapter! Get practice, publicity, or just warm encouragement from a friendly, fiction-loving crowd. The theme of the evening is International Night, and any crime fiction you’ve written with an international setting or topic is eligible. If you’d like to join your local Sisters on stage, please submit your excerpted work of between 6 to 8 minutes (around 1500 words) to member Lina (underscore) Zeldovich (at) yahoo (dot) com. Final editorial selections will be the responsibility of Michael Mejias of Writers House, who organizes and curates the evenings. We hope that this will be a successful program, and only the beginning of more such opportunities for our members. Add your name to Jack Kerouac’s and the other incredible authors who’ve read there, by submitting to Lina by Friday, February 20th for consideration! This entry was posted on February 12, 2010 by nysinc. It was filed under Announcements .